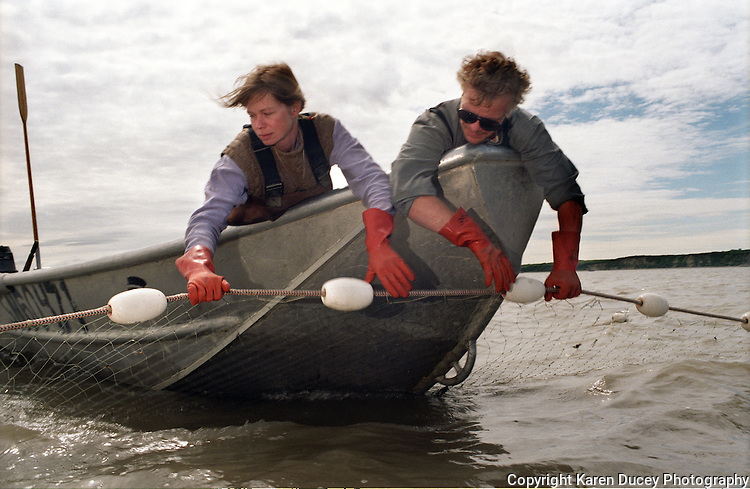 Lisa Kreb's (left) and her deckhand search an empty net for sockeye salmon at her setnet site in the Egegik River District in bristol bay, Alaska in 1998. Bristol Bay is home to the world's largest sockeye salmon fishery. the rivers also get a fair amount of chum, king, and chinook salmon. Bristol bay is located in the southwest part of Alaska. 1998 saw a very poor return of salmon.